Throughout my travels around Pennsylvania, I’ve been fortunate enough to visit many fantastic Lancaster Breweries. 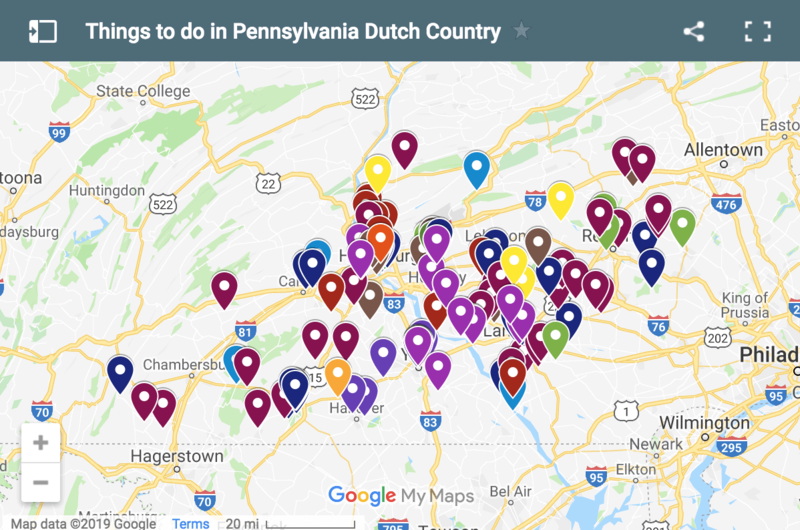 There are roughly two dozen breweries in Lancaster County, PA, and I’ve made it my quest to visit each of these over time. However, while I haven’t been to every Lancaster County Breweries yet, I’ve had a chance to check out a good number of them in my quest. Here are a few of my favorite Lancaster Breweries, so far. Spring House Brewing has two locations, including this large tasting room just outside of downtown Lancaster. 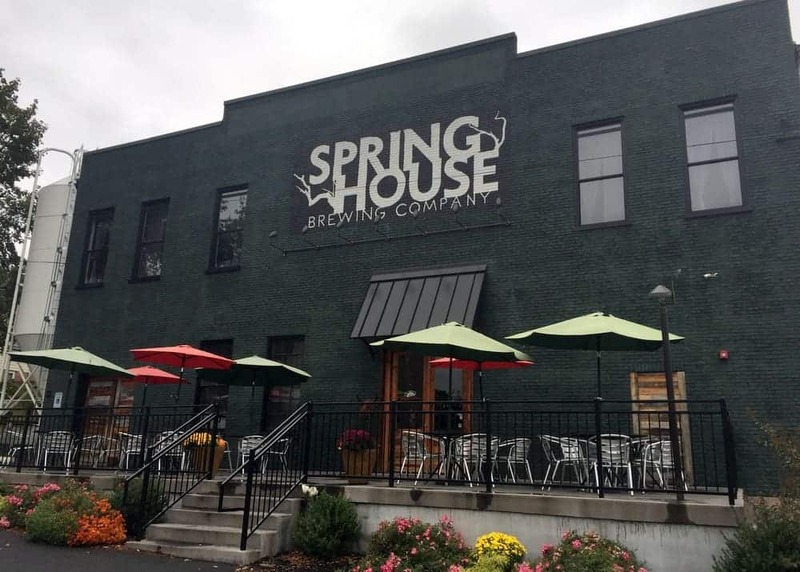 Spring House Brewing Company has two locations in the county. Their main location can be found just outside of downtown Lancaster, and they also have a tasting room on Lancaster’s West King Street. Having visited both locations in the past, they both have a great atmosphere, though the downtown tasting room is definitely both more intimate and a bit noisier. Spring House is one of the best breweries in Lancaster, PA, and you can’t really go wrong with any of their beers. During my visits, I’ve had a chance to try several of their IPAs, a few pale ales, and their pumpkin beer. Each was really quite good, and I can’t wait to visit again to try even more of their great beer. 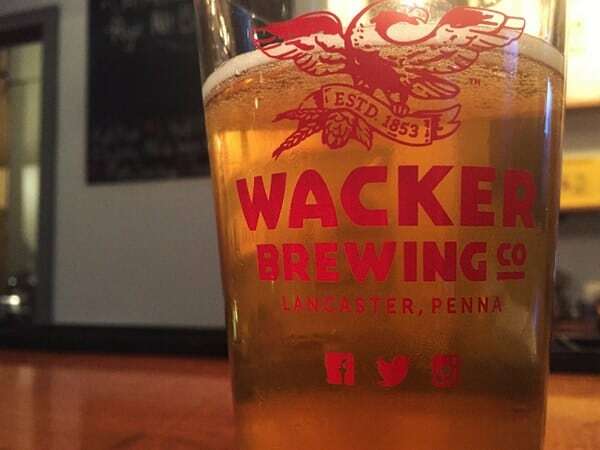 Wacker Brewing Company is a delicious brewery on the outskirts of downtown Lancaster. 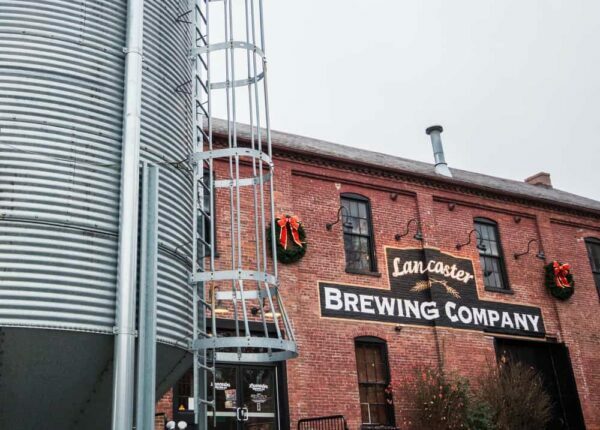 Wacker Brewing Company is located in an old tobacco warehouse on the outskirts of downtown Lancaster. Opened in 2014, Wacker Brewing took the name of a historic brewery in the city that closed down in the 1950s. Today’s Wacker Brewing draws on the rich tradition of German brewing in the region and primarily crafts traditional German styles of beer, though they don’t adhere strictly to the German purity laws, giving them a bit of opportunity to explore some unique flavors. 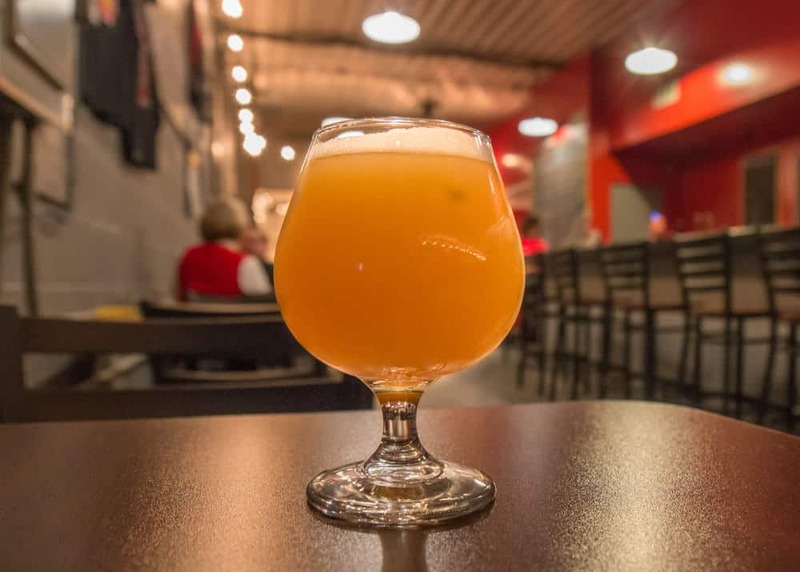 If you are the type of person who prefers pilsners and dunkels to IPAs and sours, Wacker Brewing should definitely be on your list of must-visit breweries in Lancaster, PA.
Moo-Duck Brewery in Elizabethtown features some delicious year round and specialty beers. Located adjacent to Elizabethtown’s Amtrak Station, Moo-Duck Brewery is a neighborhood brewery that offers beers worth seeking out. While they have one of the smallest tasting rooms in Lancaster County, they nevertheless offer some really delicious beer. Moo-Duck typically has a dozen beers on draft. This includes five flagship beers and several seasonal and experimental beers. 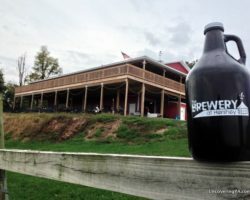 During my multiple visits, I’ve always been impressed by any of the beers that I’ve tried, and their experimental offerings are some of the most interesting that you’ll find in a Lancaster County brewery. Lancaster Brewing Company’s flagship location in Lancaster County. 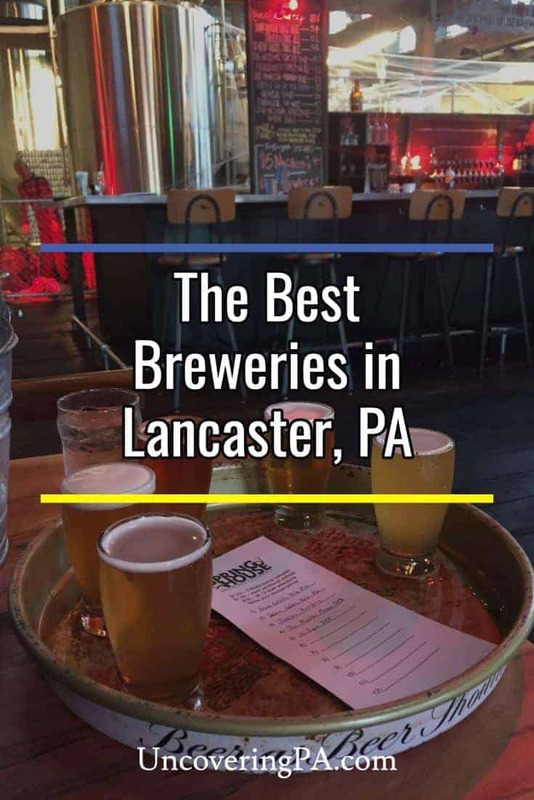 Established in 1995, Lancaster Brewing Company is one of the oldest Lancaster Breweries. 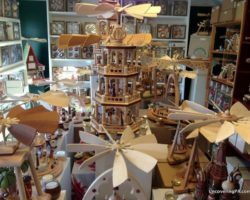 They have three locations: two in Lancaster and one in nearby Harrisburg. Their flagship location is located near downtown Lancaster and serves their roster of tasty, but not overly unique or inventive beers. However, if you are looking for a solid beer in Lancaster, this is a good choice. They also get great marks for their food, making this one of the best restaurants in Lancaster, PA, for beer lovers. 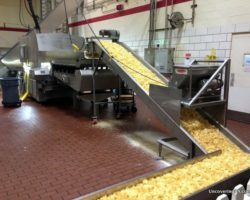 Those looking for free things to do in Lancaster will want to check out the free brewery tours offered each Saturday and Sunday afternoon. Columbia Kettle Works has both great beer and delicious food. Columbia Kettle Works is located in Columbia, Pa., but also recently opened a tasting room in downtown Lancaster. I’ve previously visited their location in Columbia and found this to be a delicious brewery to visit if you are in the area. During my visit, I had a chance to try several of their beers and each was quite good. Columbia Kettle Works also has a fantastic food menu at their location in Columbia. (Sadly, their taproom in Lancaster doesn’t have cooked food). 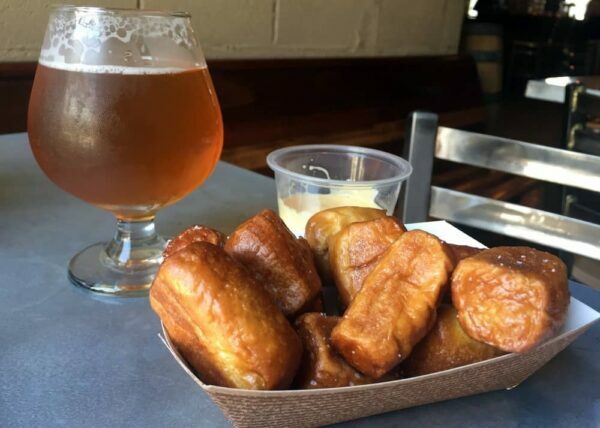 When I first visited, I tried their pretzel nuggets with beer cheese as well as a panini, and found both to be excellent. Even if you aren’t in the mood for beer for some reason, this is a great place to eat in Columbia, PA.
A flight of beers at Mad Chef Brewing. Mad Chef Craft Brewing is another of my favorite breweries near Lancaster, PA. 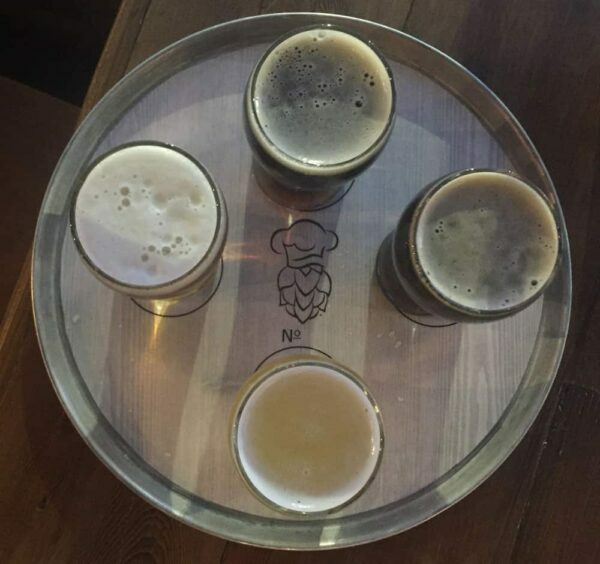 Located in East Petersburg, this brewery offers a great ambiance along with delicious beer and food. During my visit, I opted for a four beer sampler (which was quite reasonably priced). My favorite of the batch was the Oh Face Double IPA, which was hoppy, but not too bitter. I also tried their Mr. Dynamite Brown Ale, which won Silver at the World Beer Cup, and is also quite delicious. For food, my wife and I split their Belgian fries and a trio of sauces, some of which were homemade. The portion of fries is absolutely huge, but they were so good that we had no trouble nearly finishing them off. Enjoying a beer at Pig Iron Brewing in Marietta. 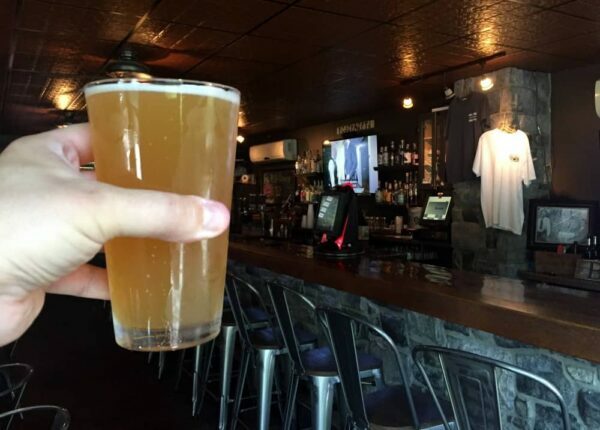 Pig Iron Brewing is located in Marietta near the Lancaster County border with Dauphin County. 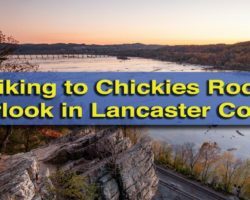 It is located along the current path of the Northwest Lancaster County River Trail, a 14-mile trail that runs from Bainbridge, past the White Cliffs of Conoy and onwards to Columbia. I’d be lying if I said that Pig Iron Brewing was the best Lancaster brewery. However, its location along the trail make this a great stop while biking the trail or if you find yourself in the area. Pig Iron feels more like a dive bar than a brewery, and they offer both their beers and a nice selection of other breweries, both large and small. If you are looking for an unpretentious brewery, you won’t find them any less so than here. During my two visits to Pig Iron, I’ve had their Pig Iron Pale Ale on both occasions. While I wasn’t blown away, it was a nice beer for a warm day, especially on the day I had biked there along the trail. Do you have a favorite Lancaster, PA brewery that we haven’t visited yet? Let us know in the comments below. 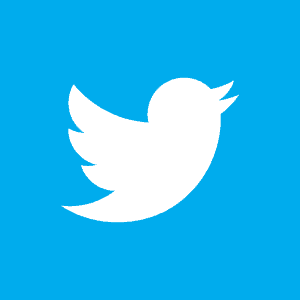 Want more great breweries nearby? 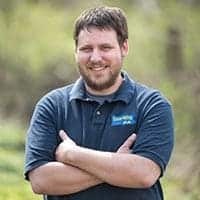 Check out our favorite breweries in Harrisburg, several great York, PA breweries, and the best Philly breweries. We have also uncovered many great coffee shops in Lancaster. See map below for more great places to visit nearby. I need to get to that one. I’ve tried their beer in a can before and enjoyed it, though, so I’m sure it’s a great spot. Out of your group of these breweries have to say Moo-Ducks is my favorite, and we keep returning. Other ones we have tried Twisted Bine Mt. Joy, Tattered Flag Middletown, Black Forest Ephata, Cox Brewery Elizabethtown, just to mention a few.